Following a generally warmer and drier winter and then a cold spell in February, Puget Sound waters are cold for anchovies. The productive season is in full swing with algal blooms spotted in South Sound, Kitsap Peninsula, and Quartermaster Harbor. Jellyfish are abundant in some inlets, and Noctiluca stains the water orange in Hood Canal. 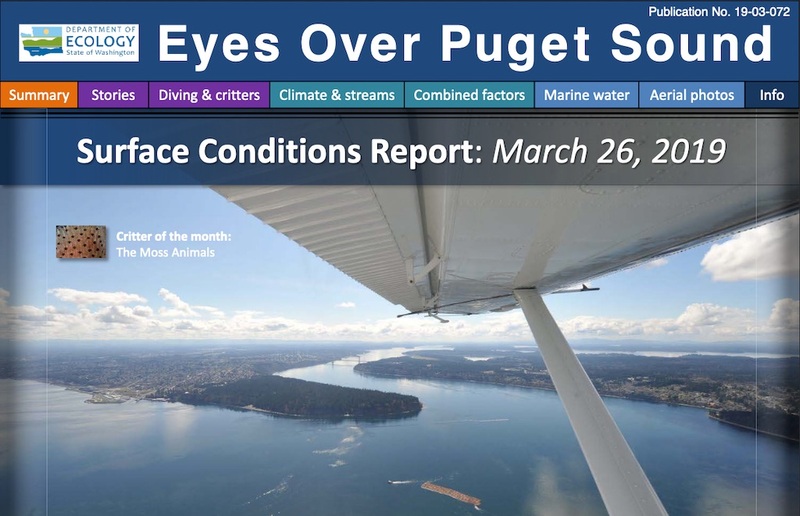 We collect monthly data to keep you informed about the conditions around Puget Sound. Come into the lab and see how we assure the highest data quality from our field instruments!